Do you have a personal visual art project you want to develop? Looking to create your own body of artwork? Join the Faculty of Fine Arts and Music's Visual Art Studio: Extended Practice, take your skills to the next level and publicly exhibit your artwork. 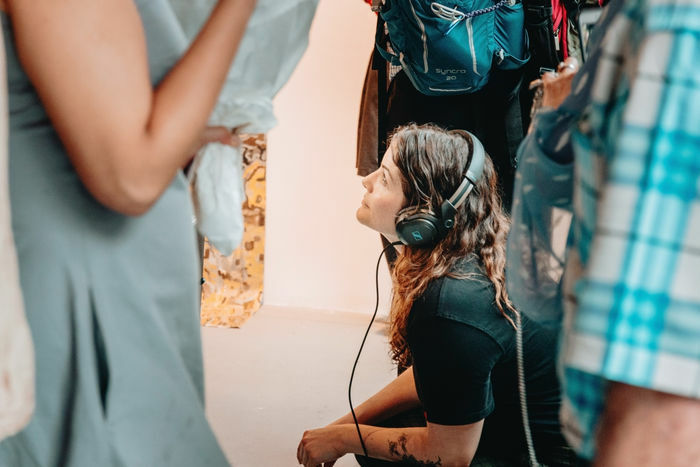 Located in the arts precinct at Southbank, this intensive part-time year-long course is designed to provide adults, who have completed prior Visual Art courses, with a foundation in the practice and study of fine art. The Visual Art Studio: Extended Practice course provides students with the opportunity to develop their own personal visual art projects. Over the course of the year, you will create a body of artwork and be provided with supportive and critical encouragement by your tutor in order to improve and develop your work. This program is facilitated by post Faculty of Fine Arts and Music Fine Arts Graduate; Trent Crawford who works across a range of mediums including painting, video, photography and spatial installation, and who has exhibited in solo exhibitions nationally and internationally. The recipient of the Keith & Elisabeth Murdoch Travelling Fellowship (2017), the John and Mary Kerley Studio Research Travelling Scholarship (2017), the William Ballantyne Memorial Award (2017), the Sugar Mountain Art Prize (2017), the Orloff Family Charitable Trust Scholarship (2016), was first place at the National Campus Art prize (2016) and a Victorian Young Achiever Award Nominee (2016). The program culminates in an end of year exhibition, where students have the opportunity to publicly exhibit the artwork they have created. If you are looking to build your body of artwork and take your visual arts practice to the next level, then book now! Completion of Drawing Foundations, Painting Techniques, Contemporary Painting or some experience in visual art practice is strongly recommended. This course is suitable for 18+ year olds.